Membrane Solutions provide Expanded PTFE Membrane finishes for all dust collector filter bag applications. 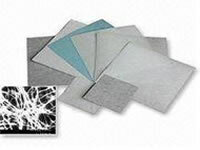 The expanded PTFE Membrane permits more air to pass through the filter media while trapping particulate on the surface. Using the ePTFE Membrane coated filter bag allows baghouse engineers to reduce capital and operational costs, as well as the ability to design the baghouse for higher airflows. Use of the ePTFE membrane coated filter bag also provides for a degree of protection from the "unknown" and "unpredictable" changes that sometimes occur during baghouse operations. The ePTFE membrane is in most instances, the best economic choice for filter media.